A new helmet for the season to add to the same one in black. Most Giro's and Bell's don't fit my head too well, they are too round. Specialized and Kask fit great, I would say more for an oval shaped head. This Mojito fits great and is constructed really well with the inner foam being wrapped by a polycarbonate plastic even at the underside edges, which means it's durable and can survive the knocks of everyday life, on and off the bike. Italian Style with Comfort to Boot! I bought this because Kask doesnt make Vertigo any more. That model fit my rounder head. The fit here is similar. I like the leather straps. The rear locking system is adjustable, but not as nice as Vertigo. Overall I think the helmet is very nice and excellent value. I have two Mojito helmets. I use a large size and it fits perfect. The adjustments are easy to set and it is a good looking helmet. It isn't bulky. Very happy with it! Fits well , looks Good! Not sure how the dent in back appeared, possibly fell off a shelf. Regardless, a twist on the rear knob and I felt something give. I see it has a huge crack on the inside rear molding. Not as tough as my cheapo Giro which has been dropped a bunch of times. Very nice fitting helmet and very well ventilated. I have used this past weekend on a metric century and almost forgot it was there. The weather was very warm and humid but had no problem with sweat dripping in my eyes. Very nice leather chin strap also. Love the fit and quality of the mojito. interior lining is comfortable, and chin strap feels and looks great. Price dropped after I bought it and Western gave me a credit. Nice. I've tried on scores of helmets and this one is, without question, the most comfortable and best made. Allows for easy adjustment and perfect fit - stays in adjustment! Comfortable! 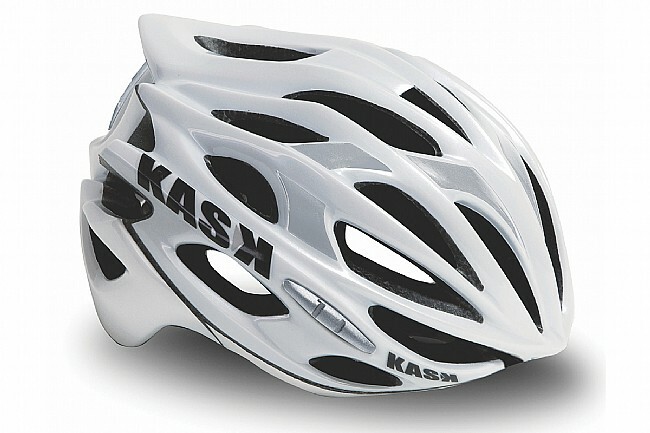 BTW I think casco is Italian for helmet, from which kask is derived. Comfortable helmet with a solid retention system. I bought this helmet while waiting for a replacement retention strap for Catlike Whisper Deluxe helmet that I've been using for most of the year. The Mojito is more comfortable (for me) than the latter and both the retention system and chin strap are higher quality. The retention system is quite easy to adjust with a single hand, which could come in handy if, say, your head expands after being hit by a poison dart in the middle of your ride. Despite the added comfort, the Catlike's airflow seems better and I'll likely still use it on hotter days, but overall the Mojito is a superior hat. It is comfortable, and cool. This helmet is light weight and enjoyable to wear for long periods of time.